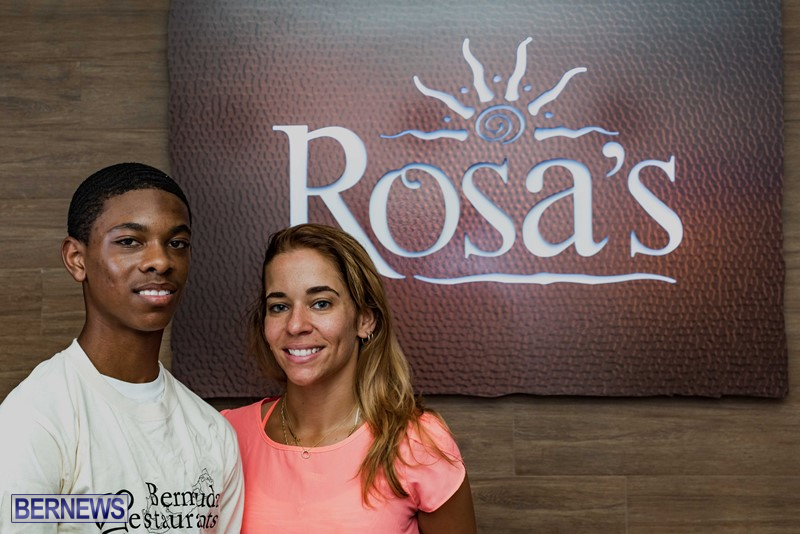 CedarBridge Academy student Sediq Simons has shown off his culinary skills at Rosa’s the past two months. The summer intern has been impressive that the restaurant has extended his employment for a few extra weeks and wants to keep him on to help encopurage the young Bermudian to pursue his skill. Pamela Quarterly, owner of the Bermuda Restaurant Group, which includes Rosa’s and Chopstix Fusion, said: “We are so proud of him. We presented him with a beautiful chef’s knife today. He was one of two students Rosa’s employed this summer. Well done young man. Rosas is really helping the community one person at a time. I would like to thank the management team for going over and beyond for the youth of Bermuda. We need more Bermudians to take time and join in the Hospitality Industry. With hard work Mr. Simons you will be a productive member of Bermuda. Hats off to you.